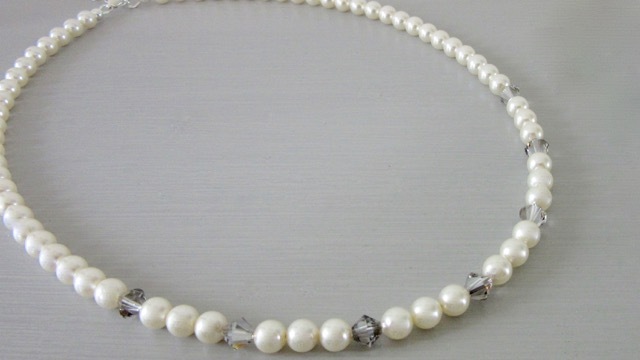 The Benita necklace combines a classic cream pearl, with a grey crystal, a lovely contrast, which makes them each stand out. It can be worn between 16-18 inches as it comes with a sterling silver clasp and extender chain. 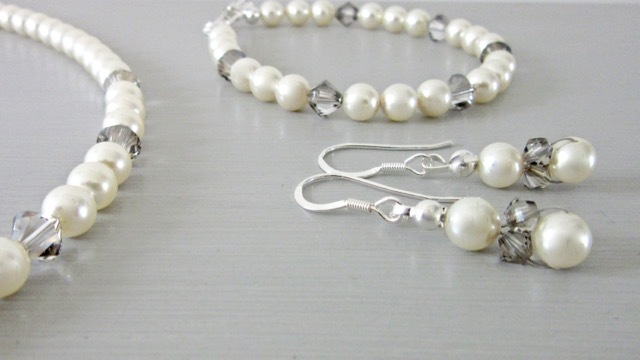 The Swarovski pearls and crystals are 6mm round in size.